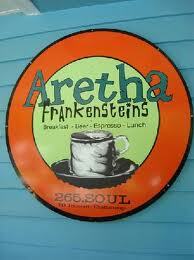 Huisache, Lagniappe, Aretha Frankenstein, Brooksie’s Barn and Tin Top are the names of some of my favorite restaurants. I know the name doesn’t give you much idea of what is inside or even that it may be a restaurant, but if you know the local flavor or language it might. These names may draw your interest to find out more. Some restaurants have a name that tells it all. Big Daddy’s BBQ is one. Yep they serve BBQ and Big Daddy makes it. Charlotte’s Eats and Sweets serves up good food and delicious desserts made by Charlotte. When you see names like these you know what is inside. Book titles are similar. Some recent titles on the Best Seller List are The Cuckoo’s Calling, The Ocean at the End of the Lane, Happy Happy Happy, These Few Precious Days, Outliers and Brain on Fire. With these names you may not know what is inside but may be drawn to find out. Other books have titles, such as American Sniper and How Children Succeed,which give you some insight as to what is inside. Usually the latter are works of Nonfiction. Nonfiction gets to the point. So how is a title decided on? 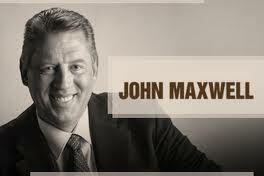 John Maxwell, author of over 50 books, has stated that he seldom gets to choose the title of his books. He has his ideas but the process involves his advisors with marketing in mind. He continues to have great sales and great titles, so why change now. Great titles make great covers which draw readers and make sales. Will your title reflect what is inside or will it be a title that draws your interest to discover what is inside? Will the title enhance the cover design? Chances are it will all work together to draw the interest of the reader. It will probably be decided by graphic artist and marketing experts, which will be to your advantage. 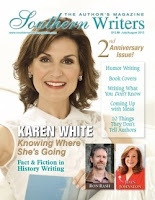 Whatever the title, we at Southern Writers Magazine want to know about your book. We have promoted 460 authors and their titles and would like to promote yours as well. Stay in touch, and all the best with your title choice.